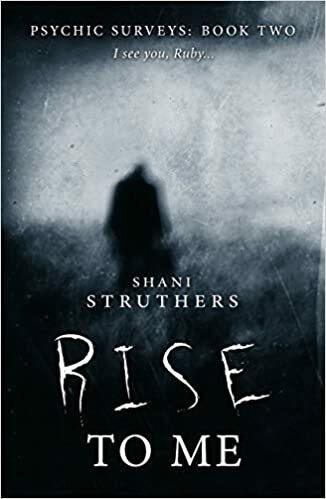 I’m lucky enough to edit Shani’s novels, and I can genuinely say that I’m thrilled when I receive a fresh manuscript from her, because I know it will be carefully plotted with fully-rounded characters in an atmospheric setting. Not only do I edit for Crooked Cat Publishing, but I work freelance – and, happily, Shani trusts me with all her various books and projects. She’s asked me on to her blog to write a short piece about editing, so I’ll do my best. Editing is a relationship of trust between a writer and an editor. Sometimes the changes are non-negotiable but often the edits are suggestions or advice for improving the structure and the expression of ideas. Grammar and punctuation are not exact sciences – whatever the pedants may tell us – and neither are narrative structures, nor any fictional techniques. Writing is an art form; it’s about being creative, even sometimes about breaking conventions. I prefer to think of the process of writing as a series of choices, rather than a slavish following of rules. There is never one way of expressing a thought or of describing a person. The editor then challenges the author to improve certain aspects of their writing at both structural and sentence level. These represent the two main editorial skills. Substantive Editing – The editor offers an objective perspective and a fresh pair of eyes. As a writer myself I know that after living with a book for six to eight months, it’s very difficult to step back and make clear judgements about your ‘little darling’. The editor acts as a critical friend pointing out where structure, narrative, characterisation and setting can be improved. The beginnings and endings are always worth focussing on; not only those of the novel itself, but also chapter openings and endings, where exposition creeps in (‘show don’t tell’). The best writers get background information in without the reader realising. It’s important to keep an eye out for the dreaded ‘headhopping’, or unnecessary change in point of view in the same section. Novelists should carefully consider their narrative technique. Who exactly is telling the story, or whose point of view is it from? Copy-Editing – This involves amending spelling, grammar and punctuation issues or typos, as well as tautology, repetition and overuse of certain words. The editor considers things at sentence and word level now, so any awkward phrasing can be highlighted. Common errors involve incorrect use of capital letters, colons, semicolons, commas, hyphens and dashes (do you know the difference between an em dash and an en dash?). Direct speech proves challenging to some, especially the overuse of speech tags, or the correct punctuation for dialogue. Consistency in tense is vital, while the use of too many passive verbs (‘the brick was thrown by me’) weakens your writing. Keep it active (‘I threw the brick’) and avoid too many uses of ‘had’ and ‘was’. I think the most important thing I’ve learnt as an editor is to respect the author’s ‘voice’ or personal style without imposing my own predilections. I believe editors need to show sensible restraint, and attempt to feed back in a positive way. My own experiences of being edited are varied, but I know I appreciate encouragement along with criticism. If you’re lucky enough to get published, or work with a professional editor, then see it as an opportunity to learn more about your craft, but don’t be shy either to question a decision or to ask for clarification so you can, at least, understand the improvement for next time. Writers and editors possess skills that should continue to be honed and perfected as techniques, tastes, traditions and expectations evolve. Jeff Gardiner is a freelance editor who also works for Crooked Cat Publishing. If you’re interested in working with him then see his website – www.jeffgardiner.com – and email him using the contact form. He works in a variety of genres, such as contemporary, historical, thriller, supernatural, fantasy, romance and young adult fiction; non-fiction and academic texts. He has a Masters Degree (MPhil) in English, and successfully completed the Society for Editors and Proofreaders (SfEP) Copy-Editing Training Courses. “I’d like to thank Jeff Gardiner for his well-judged editing suggestions and his thorough scrutiny of the text.” T. E. Taylor, author of ‘Zeus of Ithome’. I admit it, I’m not one of life’s great bloggers but as it’s Christmas, I’ve decided to dig it out, dust it off and get some words down! And who know, my New Year’s resolution might be to make more use of it! Well, it’s been a rather interesting year on a global scale, but perhaps the less said about that the better – for the moment anyway. On a personal front, it’s been an interesting year too. As a member of two author co-operatives, Authors Reach and Storyland Press, I’m beginning to learn a lot about the business of publishing as well as writing and the huge effort that goes into sustaining visibility in what is a very busy market. Did I say effort? Well, it is but it’s hugely enjoyable too and endlessly fascinating. And what makes it all worth it is the feedback I get from readers, some of whom have supported me from the very first book, which was…. The Runaway Year in 2013! That seems like a VERY long time ago now. So, 2016 saw the release of three novels from me – Psychic Surveys Three: 44 Gilmore Street, the first in a new series, This Haunted World Book One: The Venetian and Blakemort – A Psychic Surveys Christmas Novella. All have done very well indeed and received great feedback. 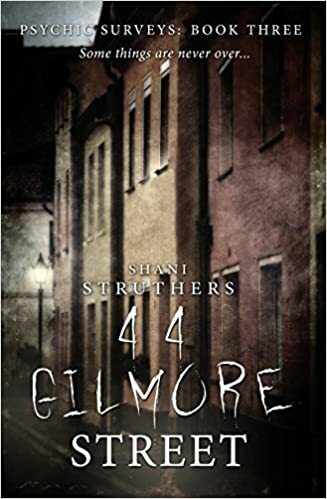 The story of Gilmore Street is a very personal one with shades of the Enfield Haunting about it, whereas Blakemort was my first foray into writing in the first person and features Corinna, one of the Psychic Surveys team, reliving the time she spent as a child in a house in deepest darkest Sussex – a house that could never be considered a home. The Venetian was a pleasure to write, set between Venice, ‘the world’s most haunted city’ and Poveglia in the Venetian Lagoon, ‘the world’s most haunted island’ it blends fiction with fact and urban legend and has recently been released in audio too – very exciting! 2017 looks set to be another busy year! Psychic Surveys Book Four: Old Cross Cottage is due to be released on April 25th, which is Psychic Surveys Book One: The Haunting of Highdown Hall‘s 3RD BIRTHDAY (it’s also my 50th but shhhh regarding that!!). Around September will be the second This Haunted World book, set in a hotel I visited in America last year in the state of Pennsylvania, very spooky indeed! And there’ll also be a Psychic Surveys Christmas novella, this time written from the point of view of Ness – a lady who hides some very dark secrets! But before all that it’s Christmas! Have a wonderful and peaceful time wherever you are and thank you so much for reading this and again for all your support. Let’s hope 2017 is a better one for all of us, wherever we are in the world. Today’s the day! Blakemort – A Psychic Surveys Christmas Novella – hits the shelves in Amazon as an ebook and paperback. Already it’s garnered great reviews from advance readers, being described as ‘powerful’, ‘thought-provoking’ and ‘downright scary’! What more could my little writer’s heart wish for? So what’s it all about? 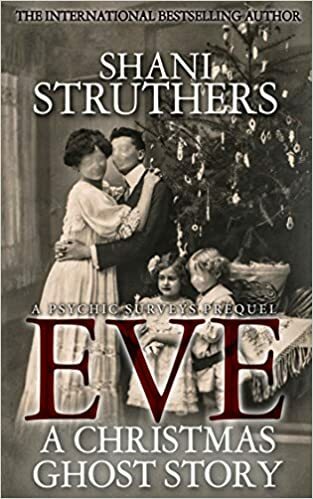 Well, it’s the second of my Psychic Surveys Christmas novellas – both are standalone but feed into the main series. The first novella – Eve – focussed on Theo and Ness (two of Ruby’s colleagues in the main books) working on a case together before they’ve even met Ruby or joined Psychic Surveys. Blakemort focusses on Corinna, the youngest of the Psychic Surveys team and the five years she spent at Blakemort as a child – a house with a very disturbing history. Here’s the blurb for it and a few teasers to whet your appetite, plus the links for Blakemort and also for Eve, which is on sale on Amazon for 99p at the moment (ebook). For a Christmas treat with a difference, close the curtains, light the fire and get stuck in! Jennifer Wilson and Kindred Spirits! Having not utilised ye old blog for a while, I’ve got three interviews lined up – the first with the very lovely Jennifer C Wilson, author of Kindred Spirits – Tower of London, which is on sale this week on Amazon at 99p. Here she tells us all about the book, what inspired her to write it and her fascination with the aforementioned Tower. But there you go. Having had the idea that if the ghosts of Richard III and Anne Boleyn were in the same place, they’d have a lot in common, it kept nagging away at me, especially thinking about where they would be. The Tower of London seemed the most logical choice, given that Anne was executed and buried there, and it’s where the Princes in the Tower also met their deaths, the two people who probably occupied Richard’s mind the most during his reign. I had been trying to write about Richard for so long, and decided to just go with it – easily the best decision I ever made! And when you start looking into who could be hanging about the place, the research soon becomes quite addictive. I’ve had to stop reading about the Tower, because I just kept finding more and more people who could legitimately be haunting the place, and wishing I’d come across them two years ago. The ‘cast list’ I went for in the end wasn’t bad mind, and certainly not lacking in star quality. As the blurb says: A King, three Queens, and plenty of other nobles for them to spar with. And when two of those Queens are probably Henry’s two most famous, Katherine Howard and Anne Boleyn, there’s plenty of sparks to fly. Having first visited the Tower on a bleak February morning, and first seeing it through a blizzard, the idea that spirits still inhabit the place didn’t need much imagination. Even during my next visit, in glorious Bank Holiday sunshine, there are plenty of nooks and crannies, still open to the public but off the more beaten track, where you can get a real sense of the Tower’s history, and its place in the story of Britain. Built so soon after the Conquest, there cannot be a monarch who hasn’t visited. If walls could talk, you would certainly need earplugs… I wouldn’t say I felt uneasy there, but some of the rooms, such as where prisoners had carved their names into walls (one even, according to tradition, surviving from George Boleyn, almost certainly, as with his sister and the other men, innocent of the crimes he was charged with) have a definite ‘atmosphere’, especially when you’re in there alone. For the bare rooms the prisoners would have been kept in, there isn’t much of a difference today, and certainly the lower rooms you can access still feel claustrophobic. I wouldn’t have wanted to be left there. Definitely enough to spark the imagination, and the idea did indeed keep me out of trouble during NaNoWriMo 2013. For a limited time only, until the end of Halloween, Kindred Spirits: Tower of London is just 99p/c. I hope you enjoy reading it! Sound advice from experienced author, Jan Ruth, about the myths surrounding publishing and self-publishing. An absolute must read. On the 9th August 2016, This Haunted World Book One: The Venetian, was launched on Amazon. 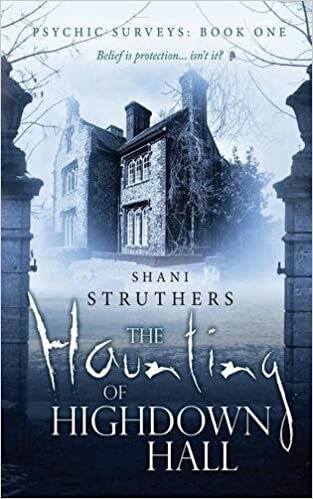 The first in a series of books based in and around the world’s most haunted places, the venue for the first, as it’s title suggests, is Venice – regarded as the ‘world’s most haunted city’. I first visited not long ago, in November 2015 and found this ancient, crumbling city haunting in more ways than one. At that time of year, the nights close in early and, for me, that’s when Venice comes alive, dark alleyway after dark alleyway lonely and eerie, drawing you in, always in, to the beating heart of the city. You could spend all weekend immersed in it’s haunting beauty, eschewing the more familiar sights of St Mark’s Square and the Bridge of Sighs for ones such as C’à Dario or “The House of No Return” as locals call it because it is believed to eventually kill or ruin all of its owners. The murder chain starts back in the 15th century when the daughter of its first owner, Giovanni Dario, committed suicide in the house after her husband went bankrupt and their son was killed in a fight, and continues well into the 21st century. Just in case you like to play with fire, the house is currently up for sale! The Venetian takes the dark side of Venice, including the history of Poveglia, to bring you a story that’s horrifying but in very human terms. Mixing fact with fiction, it was a fascinating story to write but I was also aware that it was real history I was dealing with and therefore people, those who had once lived and breathed, and so I had to tread carefully and with the greatest respect. Often the subject of Poveglia is dealt with in a gratuitous manner, but in this new series of books that’s something I don’t want to do. For me the story is horrifying enough, it really doesn’t need much, if any, embellishment. Next week I’m off to New England, stopping over at Salem for three nights, home of the notorious 17th century Witch Trials. Again, I’ll be looking for a story – one that hasn’t been told before. One that should be told. The human side of horror. Watch this space.